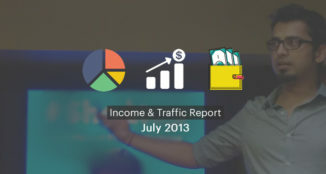 From last few years, I have shared monthly income & traffic report to motivate you and to show if a blog can really be main stream income source for you or not. Because by the end along with your passion, having money in your bank account is what matters to get on with your day-to-day life. 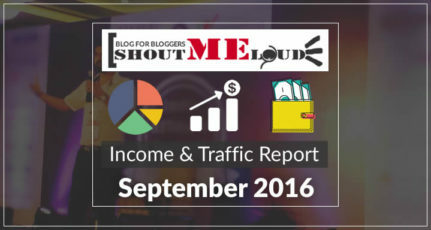 This time I’m sharing this one year report of income and traffic to give you an idea how much one can earn from a blog. Do remember “If I can do it, you can do it too”. For this post I can’t give a detailed breakdown for the income source, since I’m using my bank statement to count my earnings and expenses. But for the sake of record, I will share the major earning and expense source, so that you will have a better picture. Do remember, this earning source is from my multiple blog under ShoutDreams blog network. Even though there are numerous blog, but a majority of my income source is due to this blog only. 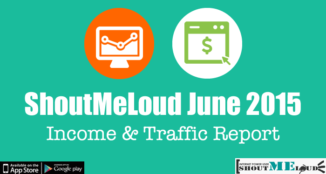 So I will be sharing traffic report from ShoutMeLoud only, and income source from all the blogs. 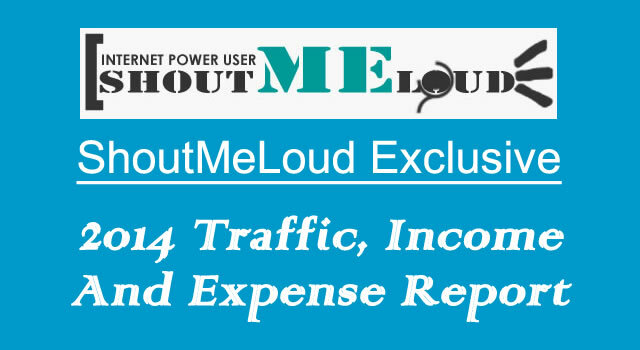 This report consists of traffic, earning and expenses from 1st January 2014 – 31st December 2014. 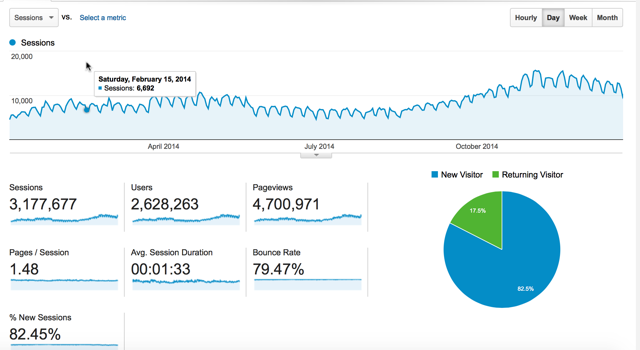 Total page views for the year was 4,700,971 and you can see the traffic difference increasing from October 2014. That was the time when I started publishing less, and started focusing on editing my old posts to make them evergreen. You can learn more about the techniques I used back then here. While checking the overall traffic performance from the referral source, I realized that traffic from linking site is better in terms of conversion than the social-media traffic. Takeaway here is, you should focus more on getting links (Mentions) from relevant blog sites than social-media. At the same time social-media traffic is important to keep your visitor’s meter running. 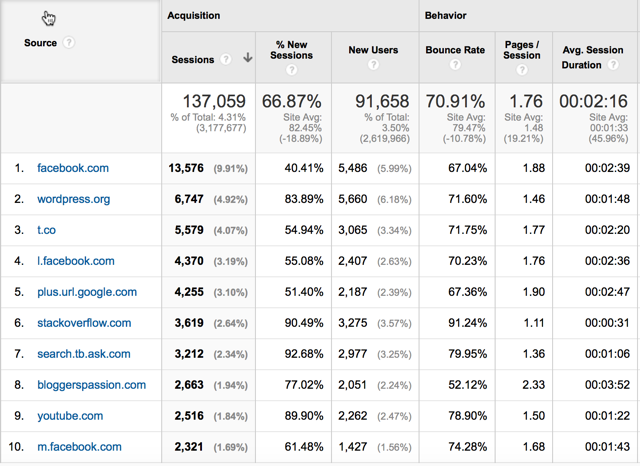 Another important factor that I want to share is how much traffic I got on Desktop, Mobile and on Tablet devices. I’m hoping to see noticeable difference in 2015 and you should definitely have a responsive web-design and a mobile optimised theme for your website. So this was all in terms of traffic for ShoutMeLoud for the year 2014. I wish I could have shared the traffic report from other blogs, but for now I’m just keeping it for ShoutMeLoud. Here you will find the income report for 2014 year. I will also share the expense report later but for now lets take a cumulative income report for all the blogs here. 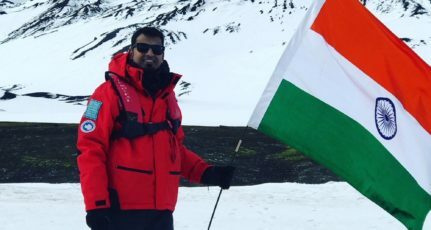 While I was calculating all the expenses for this post, I also calculated few more expenses which were really high and I could have worked on it to lower it down. While creating this expense sheet, I realized that I spend a hell lot of money on web-hosting and this year I will consolidate everything to lower down my Web-hosting cost. I had few bad investments in last year which consist of around $7000 and don’t ignore the fact that I have to pay service tax and income tax (30%) on my total income, which is again a lot. Though overall, by the year-end I was able to save about 13 lack after paying all the taxes and expenses (About $20,500). 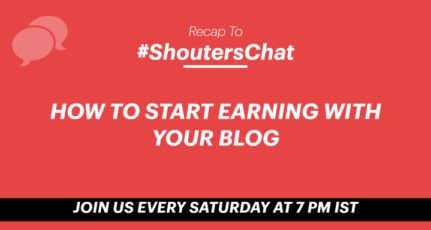 Since blogging is my only source of income, you can calculate and decide if blogging is a decent professional in terms of money or not. Recently I read this book called “Rich Dad & Poor Dad” and I would recommend you to read the same. This book will give you various ideas on thinking beyond just making money, and how to earn money from your savings. One of my biggest mistake in the earlier income report was not to calculate my expenses and for January income report (will be published on 1st February), I will also be calculating my overall expenses. I hope this report will give enough data to decide a good career option for yourself. Do consider creating one such report (If not for public, for yourself), as it will help you to find out the red flag in your income and expenses. 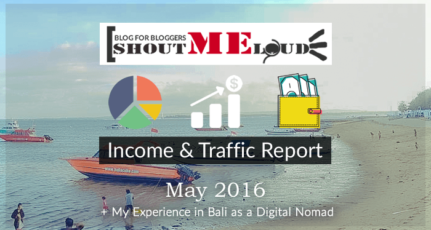 If you are a blogger, I would like to know how much was your net income for the last year. If you find this report useful, do share it with others on Facebook and Twitter. Wow , I am amazed how transparent you are. You have planted the seed well, and now receiving the rewards. Am happy for you. Today, I got my google adsense approved. Post like yours certainly give new bloggers like us a boost in confidence. Lastly, I have a question in my mind. How should I go with affiliate programs? I mean how to start? I have to learn how to build my blogs so that I can do some affiliate marketing in future. Do share your blogs on that topic. At last , thank you for transparency.